Much technical analysis has to do with linear calculations where the next day’s value is the result of calculating an extension of the former values: moving or exponential averages, moving linear trends, moving standard deviations. There has been so much of this that many suspect not much more juice remains in the fruit. But once you have exhausted the linear, what remains is the non-linear. One variation of the non-linear is vector analysis, in which market movements are condensed into vectors without regard to a fixed time. Point-and-Figure analysis also “destroys” time, but acquires the constraints of blocks of price movement, and a lot of rules to go with them. Vector analysis just looks at pure movement from beginning point to one extreme, then the other extreme, and finally to the current value. If this analysis is done on end-of-day data, it has the beauty of turning the information presented as a bar into that of a flow chart. That is, end-of-day information can be transformed into intra-day data, but the process can also be used to “cut-to-the-chase” over longer time horizons. Let me illustrate. On the left you see a stylized version of price behavior. The time period is not important, but for the purpose of illustration, let us assume that it represents the price activity within one day. The price opens, then moves to one extreme (here the high), then to the other extreme (the low), then finally to the close. These movements can be simplified by the vectors on the right. The last reported price is the arbiter as to who won and who lost. The assumption is that volume is distributed equally over the activity. The illustration also shows the calculation for the sum of the vectors, which very elegantly comes out to three times the close minus two times the midrange plus one times the open. The sum of the vectors calculation can certainly be done on a one-day-at-a-time basis, but much more value can be gleaned if we examine it over more relevant time periods. That naturally then begs the question of which period is relevant, perhaps the most important question in this kind of work. Market followers have all sorts of favorite N values, like 50 and 200 days. However I propose that one look over the period when the positions were acquired (or when the bets were made if you prefer). Now we do not know exactly when every position was acquired, but a good estimate for the so-called “hot money” or options positions is how long it took to ramp up to the current level of open interest. This “lookback period” can be obtained by dividing the open interest level by one-half of the volume. Let us assume that you have calculated your lookback period and it is 42 days. Then simply calculate your vectors based on the starting price 42 days ago and the movement to the high and low prices from then to the present. Each day your lookback period and extreme prices may change, and thus your sum of the vectors will change. The vector sum will move around quite a bit but a true picture will emerge if it is smoothed such as with a moving average, exponential smoother, moving trend (moving linear regression) or moving parabolic regression over the same lookback period. They all do the job and some are better than others. Here is a chart of the recent behavior of the sum of the vectors (exponentially smoothed) and the implications to trading SPX. It’s an easy way to determine when to duck. One must repeat that the unconditional drift of the market is 10% a year. Whenever you are short, you have a drift going against you. When you wish to go short, chances are that the drift of the market will be above 10% a year. That’s because you and others think there’s a bear market retrospectively, and require a higher rate of return to be invested. In addition there are frictional costs to being short. Put them all together, and I’ve never seen a short seller who’s made money, nor has the Palindrome. It does give psychic value however in that it lets you vent your hatred of the system and yourself. It also gives stature because you are always on the negative which seems so much more poignant than the positive. Since you always are giving away money on the short side, on an expectational basis, it is best not to consider it as the wind is against you unless you are truly insecure. The question of when you should go short is the wrong question. A better question is when you should increase the leverage of your long investments. I would propose a hypothesis that it is good to do that when the market has suffered a decline with a given period of a certain magnitude or more. I believe the above reasoning, as well as the questions I ask bears about whether things are truly so much worse than before, and whether if they are, is this bullish or bearish, which I have made repeatedly since 1960 but also for the last four years, during which the market has doubled, has prevented many people from self destruction. Part of the profundity of Victor’s remark is that the bears make poignant arguments which are almost tailor-made to touch something very deep inside of those who are always watching and waiting for some disaster or catastrophe. The bearish arguments tend to be more scholarly, detailed, laced with Latin words and appeal to the limbic core of the brain (which holds memories of fear and terror and sees them even in their absence), as well as the higher neocortical areas which are, in some way, hard-wired to process, consolidate and retain bad news more firmly and longer lasting than good news. Bad news is stored as pain and that pain can be evoked in almost any situation. Good news tends to be more fleeting and there is more difficulty reaching into the brain stores to retrieve the memories of euphoria. Perhaps the neurochemistry of euphoria (be it dopamine, serotonin, norepi, or any of the thousands of neurochemicals) is configured in a way as to be more transient, spontaneous and non-entrained. Depression, disaster, danger lurking around every corner is much more “reachable” in terms of our psyche. Once again, this is likely a function of the way that the cortical neuro-pathways are laid down and communicate electrochemically with each other in the vast cortical landscape. In any case, the rah-rah cheerleaders are often seen as buffoons, whereas the permabears are the scholars and masters of Latin. To second the chair’s remarks about the risks of being short, I emphatically state that “a friend” has never made any money on the short side of equities. Even in profound bear markets, the friend has gotten nothing but frustration out of the short side. Conversely the friend has been able to make money on the long side in those same profound bear markets. But the friend has a problem: people who hire his services want him to add a short component. More than a quarter of the hedge funds pursue a long/short (”L/S”) style. Let’s assume that our friend had a very successful fully-invested long-only (”L-O”) strategy. The funds don’t want to employ his L-O strategy because they are under the impression that a market-neutral strategy of L/S is less risky. But our friend knows that the short side is just wasted; he can prove that his L-O strategy beats a L/S version of the same thing. By beating it, we mean in every way: higher Sharpe Ratio, lower drawdowns, etc. Now the friend is looking for an allocation of X dollars in his L-O program, but the funds only want to give him .3X or .5X. Since he clearly cannot make money on the short side, he has adapted by finding a strategy that will go nowhere - and that’s what he shorts. (He cannot short the index, because he knows that also will go up.) By his little charade he gets his full allocation, and the fees that go with it. But this irks, as there are inefficiencies all around: extra transaction costs, risk of errors, extra man-hours, etc. Furthermore, our friend assumes that he is not unique. Others must have the same problem. With more than a quarter of the hedge funds using L/S strategies, how much is being wasted? Is our friend on ethical quicksand by giving the “professional client” what that client says he wants? Putting it very simply (or too simply?) is the positive drift in the market an inevitable manifestation of human potential and the innate cheerful optimism we all have, or at least were born with? Most people are not innately positive or optimistic. Most Americans are blessed by capitalism simply by accident of birth. If they had been born in a communist country, they would simply be sheep there (as they are sheep here) albeit much more unhappy sheep with a greater sense of hopelessness. Growing up where I did and being surrounded by the people (and their negative destructive attitudes), I don’t think most people are innately optimistic. Any optimism they have is because they are surrounded by an environment of capitalism which breeds some optimism because here they are at least safe (no secret police to break down your door in the middle of the night), they are well fed (no mass starvation, or really, any starvation here), there is consistency of rules (rules and laws are not based on the arbitrary whim of whomever is in charge) and they can see that what is happening around them is consistent with what they innately know is the philosophy of life (as opposed to the propaganda they are exposed to in statist countries…innately they know its a load of cr-p). No, people are not innately optimistic. Capitalists are. Think about it. What we have today is because of the skills and mind set of very few men. Rockefeller, Carnegie, Edison, Gates. Or men like Jefferson, Franklin, and Henry. Or scientists like Currie, Oppenheimer, Watson and Crick, or my uncle Bob. What we have as a country is the result of just a few people who were truly optimistic and had the strength of character to fight through all the naysayers and negative busybodies (the Elsworth Tooheys and Wesley Mouchs, Dan Rathers, Paul Krugmans, Alan Abelsons, etc. of the world). No, people are not optimists. They are negative pessimists who will almost always resort to the lowest common denominator of gossip, destructive thinking and thinking the worst of people. Just a few of us actually create something of value in this world. They appreciate what the men of the mind do for them. And they fight the negative naysayers dragging anchors, throwing rocks or whispering in negativism in our ears. They are known by many names…but most on this list would think of them as the “Eddie Willers” of the world. No. The things you cite explain the growing economy. The positive drift is simply what the market pays you to part with your $$$ to put into volatile investments. In fact, the more optimism you have the less the market would have to pay you, so that would actually bring returns down, which of course highlights the important to us optimists of people like Abelson. If everyone thought like us, returns would be lower. I find that at this time there is no evidence from the Monetary Base numbers suggesting a change in policy. Additionally there is no change in the job growth numbers as evidenced by the payroll tax receipts. This morning William Poole observed that the MZM and M2 monetary aggregates “are chugging along at pretty steady rates.” Year over year, he noted, MZM is up 4.3%, while M2 is up 4.9%. Since real GDP growth is expected to be “a little below 3%,” he said, “if you take a 2% inflation target that adds up to 4 1/2% to 5%, which is really very close to where money growth is right now.” So he said, “money growth is not telling you that monetary policy is tight or easy, just in line with GDP growth. If you think of the Monetary Base as a window on Fed policy, then the data makes the case that there has been no change in policy. Since the beginning of 2005 that policy has been moving from accommodative to restrictive. Thus there is no deviation from a restrictive policy, which at this time is very restrictive (more below). George Zachar’s comment was more insightful. George pointed out how the Fed’s statements on M2 and MZM growth were contradicted by my data. The boys at the Fed think that they are walking the narrow line between restrictive and accommodative. The data suggests otherwise. At this time the Monetary Base is in excess of 4 percent below the long-term mathematical fit of that data. This is more restrictive than in 1998. Perhaps our “planners” wanted to be more restrictive in 1998, but had to back off because of (a) Asian contagion, (b), Russian bond default and (c) Long Term Capital Management. In any case, the current data shows the present to be more restrictive, and there is no anxious moment to force a change. The period of 1990-92 had the most restrictive policy. Remember that as the period of “It’s the economy, stupid”. Monetary Base is an interesting number, consisting of currency and deposits at Federal Reserve Banks. Breaking the Base down into those two components does not give you as complete a picture as the two together. For example, look at the two spikes: the earlier one was the Y2K spike caused by excess currency (the ATMs were all going to fail). The later spike (9-11) was caused by the Fed goosing the bank reserves. Only if you look at the Base data do you see both spikes. I’m looking forward to Diebold next week. The Fed's Monetary Base numbers just released (through October 11, 2006) show that the Fed continues to have a restrictive policy. Specifically, at this time the Monetary Base is over 4 percent below the long term fit of that data (since inception in 1984. Here's a picture. The average is something that we all would like to know so that we can learn what makes the world go round. Since more people are near the average than anywhere else, knowing about them is a key to success in business whether considering who you're going to sell to, buy from or employ. I like to study average people by reading the magazines they read the most, such as the National Enquirer, or seeing them in representative settings such as ballgames, church, car dealerships, or homes. It's an article of faith to me that the more I know about the average, the better an investor I'll be. Thus, it was with great eagerness that I read The Average American by Kevin O’ Keefe, a successful married intellectual Democrat fund raising executive, championship runner, and friend of Jimmy Rogers. 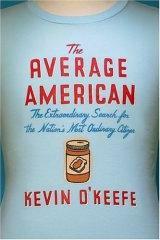 The book describes his quest to find the one “most average” American through a series of interviews with people whose eponym or business is average or normal. The book starts with a visit to the Census Bureau, where he interviews statistician Greg Robinson and finds source material for the communities that he will canvas to find his average American. He then interviews a magician named Myklar the Ordinary, a track steward of a Land Rover club who awards a prize for an average finish, smoke-gun owners in Elko, Nevada, a director of noxious weeds in Dickinson County, Kansas, a postman in Maui, Hawaii, a presidential candidate for the Average Joe Party in Pennsylvania, an alderman running for office on the Average American ticket, the pollster George Gallup pollster, the president of the Little League in Williamette, Oregon, a golfing husband and wife in Florida whose business is selling products to the average golfer, and a person whose last name is Average. Eventually he finds the average American based on a checklist of 140 of their characteristics such as age, charity, community, education, employment, faith, family, geography, health, income, hobbies, home, physical characteristics and political convictions. The average person has all 140 of the positive attributes of averageness and it's Bob Burns in Windham, Connecticut . In the only beautiful part of the book, O’Keefe tells Burns that the average American is unique and glorious, not mediocre, and that he's the Average American. Burns says "What an honor!" and invites Keefe to go fishing next year. "What an honor! ", O’Keefe says and he means it. Regrettably, the book is marred by the author's complete ignorance of statistics. He uses community criteria to exclude individuals, then tries to find the average by including each of 140 criteria that he randomly picks up from interviews with people whose businesses or names have something to do with averageness, or sparked by reading of popular magazines, movies, and books about average things. It's interesting to see how many average things he discovers and how many matches different people might have to them. But there is no validity or even justification for the goal of the book, which is to find the most average person. Instead what he comes up with is a person unique in fulfilling each of 140 criteria that each have, say, a one-third probability of failure. That indeed is a unique person, not an average person. In addition the author's persona is displeasing. He's the typical intellectual who is unsure of his position and status in life, and tries to find himself through exposure to common people. "The typical intellectual who is unsure of his position and status in life, and tries to find himself through exposure to common people" is a beautiful expression of an important truth. It reminds me of what happened to Milovan Djilas had after was released from prison by Marshal Tito and allowed to came to the United States. Dad had my brother Peter drive Djilas around the Northeast so he could meet American intellectuals. One excursion was to Princeton. Peter remembers overhearing a member of the faculty asking Djilas what the other prisoners were like. "Ordinary criminals," Djilas replied. "Not political prisoners." "But, they were good guys, right?" asked the intellectual. "No," replied Djilas, "ordinary criminals — murderers and rapists and thieves." I too enjoy watching the average man. And living in a state with no great claim to fame other than being in the center of the US gives me plenty of opportunities to do just that. And when I travel, I insist on passing through the poor areas (to my wife's discomfort). When others might go to the tourist traps, I go to a county fair, or an auction, or even a flea market. My favorite way to travel is to spend months away from home as part of a job. That gives me time to become immersed in and gain an appreciation for the locals. As I revealed previously, my best stock market indicators are the average 401K feeding guys at work. 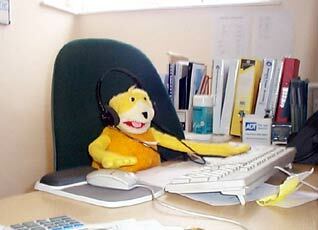 When I take time off from work, it is like going blindfolded with regard to the stock market. The average man is of value as an indicator because he is an outlier from the Wall Street community. He knows nothing of how the stock market works. He thinks the Dow represents all stocks except those in the Nasdaq. His only involvement with the stock market is what he puts in his 401K and what he hears on the news. Both of these activities are on automatic and largely ignored because his focus is in on his family and his hobbies. He puts money in his 401K because his company matches his contribution. He puts his 401K in stocks because he has been told that stocks are the best investment over the long term. The average man does not trade, but instead buys stocks because he has faith in the system. His environment that has taught him that it is easier to work within the system than without it. He stays with the herd. So how could watching the average man be of any use in trading? He is a filter. He ignores the noise and alerts at the extremes. If you have ever watched a herd of animals you may have noticed that they are oblivious to random and regular noises about them. But try sneaking up on them. They will pick you out of the noise every time. It is an instinctive skill honed since the dawn of time. One of our strategies ranks about 1000 stocks and selects 40 at a given time for further review. We then apply some different ranking methods to build a portfolio with the sort of qualities most investors would choose, like lower volatility. But for the most part, the 40 are our "stars", and most investors would be relatively indifferent as to holding one over the other. When we run the statistics we find that over long periods of time (say 10 years), out of the 1000 stocks we wind up owning 950 of them. That is, almost every one is a star at some point. Or put another way, it's quite average to be a star. The smaller you make the list, the more it occurs. We also rank and rotate 20 International Indices and the 24 S&P Industry Groups. We have even researched this on markets we cannot yet trade, like the 14 DJ Blue Chip China Sectors. And over long periods of time we find that we were at some point long every one of the above. The ranking process is a fairly complicated combination of linear and non-linear methods, so there are a few "hoops" the assets have to jump through. That is, we have deliberately made it difficult for these assets to be the stars, but yet they manage to do so. Wouldn't the law of ever changing cycles dictate this very outcome? This idea is congruent with my intuitive reaction to this discussion. There is no such thing as an average person. In our advanced economy in which specialization is the norm, just about everybody has some unique talents. A person is only average when viewed through somebody else's filter–usually based on one measure, or at most a few. One of my first jobs was helping building an extension onto Fairview Hatchery in Remington, Indiana. At the hatchery, millions of chicks are hatched on trays stacked on top of trays. These are wheeled around on rack after rack in incubators to processing and then to shipping. For the most part, the thousands of chicks looked exactly the same. If a chick looked different or showed weakness, the others would gang-up on it and peck it to death. The processors would then take the damaged defective chick and pitch into a bucket. There these damaged tortured chicks would continue to peck at each other. They were left in a hopeless, oppressed condition, where rage was the only thing left to give them hope. They would attack each other until they all died. You look at the violence going on today, and you find the political oppressor, feeding the rage, rather than the benevolence. They do this by making the "average guy" see wealth and betterment as a closed system. The only way to get ahead is "steal theirs". It is "us" against "them". Its not just that the average is good or benevolent. The average is powerful. 2. Legal system that encourages competition. 4. Democracy (giving power to the "average") and checks and balances limits power. 1. Invest in countries where freedom is high and is growing. 2. Invest in companies where union votes against striking or to end a strike without concessions. 3. Invest in companies where options grants are widespread, not just privileged few. 4. I believe the Olympic marathon is a event open to everyone, the average guy. Invest in countries that have become more competitive in the Olympic marathon or other "average guy" sports. 5. Other sports such as equestrian, are more political, more elitist, rather than personal merit. Invest in countries that have the most "average guy" in the elitist sports. 6. Invest in countries whose athletes become wealthiest through other endeavors, after winning the Olympics. 7. Invest in companies with an open door policy: that is access to the top is encouraged. 8. Invest in companies with highest bonus pay to the "average guy". 9. Invest in companies who "oust" the option back daters after they settle. Many have commented about an apparent conflict between the current payroll data and payroll tax receipts. One analyst specifically used the phrase "Social Security receipts." However, Social Security receipts are not the same as Federal withholding tax receipts. The Social Security data have considerably different intrayear seasonality, and of course do not include the very high-end individuals. We download the withholding tax data daily, and post a chart at the end of each week. Apparently, Trimtabs looks at the annual growth rates in whichever data they are examining. We confirm that whether you look at monthly, quarterly or annual federal withholding, the current growth rates are accelerating on the downside. The annual growth rate however is not yet negative, whereas monthly and quarterly growth are actually negative. At the moment, the market is ignoring these data. Typically, effects of the daily data have a five-week lag, and we are now in the fifth week. However, we all trade the market, not the tax data! We have encountered some problems in pursuit of knowledge down this alley. The Treasury reports its data differently on its Daily Treasury Statement and its Monthly Treasury Statement. Attempted communication with the group responsible within the Treasury has been unsuccessful, making it nearly impossible for us to reconcile the differences in the reported figures. By differences I refer to the fact that monthly total of the figures reported in the Daily Treasury Statement does not agree with the data reported in the Monthly Treasury Statement. Also, the figures are reported not seasonally adjusted. That makes it difficult for the average researcher to draw any conclusions. Seasonal adjustment of data is not difficult to do, if one has the data. That also presents a problem because the older archived data are in .pdf form rather than .txt. Conspiracy theorists thus have considerable grist for the mill. However, as H. L. Mencken said, "Never attribute to deviousness that which can easily be explained by stupidity." We have managed to overcome those problems and build a dataset of the Daily Treasury Statement going back to 1997, and seasonally adjust it. With application, most others can also. The Daily Treasury Statement series also contains Corporate Tax receipts data, which may be of interest to some. Be mindful of confusing cycles with hikes. This article on the Fed lists 14 cycles of tightening, and the current round of 17 hikes constitutes only one cycle. But note that there are not enough observations of the extremes of accommodative or restrictive policy to have statistical reliability, and thus the chart must be viewed as anecdotal. Investors can certainly use a sector rotation strategy to produce returns which outperform the market, or even some hedge funds. Many hedge funds would be wise to consider such a strategy. However it’s not as easy as the plan described in this article’s abstract. Nor should we expect it to be; the market is not easy-pickings. But recognize what market returns we are talking about: since say 1990, the S&P has had about an 8 pct compounded annual rate of return, while experiencing about a 46 pct maximum drawdown. Those numbers can be beaten, and not just by the pros. As with any game, being an informed participant enhances your success. Without getting too far into proprietary methodologies, let me provide some insight as to what a sector rotator must consider (with a few tips included):Is the investor going to be fully invested all the time, or does he have an escape? That is, should the first set of sectors be equities vs. treasuries. Let’s call that a strategic overlay, or the first on-off switch. Then is the investment going to be long-only, long with a hedge, or long-short? Next comes the equities universe. What group are you considering: 10 S&P economy sectors, the 64 S&P industry sectors (GICs), high liquidity ETFs of economic sectors, country ETFs, Fidelity funds, Dow Jones 18 European sectors, or small cap funds accepting new money. The list can be endless. We have rotated all of the above, and can attest that the hardest of the lot is the 10 S&P economy sectors. We would not even consider rotating a list of just four sectors, as was done in the referenced article. Once you have chosen your universe, you have to pick an out-of-sample period and run cross correlations on the assets. The cross correlations should not be on the levels or changes, but on the scoring that you will eventually use. Your purpose here is to reduce the likelihood of always being in the same combinations of assets. You wouldn’t mind doing so if they were all moving up together, but the opposite would destroy you, and must be avoided. This is the only subjective part of the entire process: you will personally have to decide the level of cross correlation you will accept. You can of course test this also, but there will be obvious breakpoints that make sense to the experienced researcher. Thus if you start out with the 64 GICs, cross correlation may reduce that number down to about half. This should be done blind. Also, some of the 64 have only one stock, and you may want to eliminate such a sector. The choice of ranking or scoring device is the most critical part of the entire process. Most of the industry professionals we know use a “quarterly” rate of change or relative strength calculation. For example, we have been told that R***x uses a moving 63-day rate of change for their sector rotation fund on the 64 GICs culled down to 56. They have passable results which outperform the market, and several hundred million in that fund alone. The problem with either moving rate of change or relative strength is that those calculations produce fairly erratic scores. They can be improved by some slight smoothing prior to ranking, or by skipping days (e.g. scoring and ranking every other day), but your task is to find what works best. We have done some work with counting as a ranking device, but our experience is that using counting works best only if we choose to be particularly risk-averse in a long-only program. Oh, and don’t assume that a ranking/scoring device is just one indicator, as combinations work best. The best ranking device we have found absolutely knocks the cover off the ball, but it is not obvious. Although it is very robust and clearly non-random, we don’t yet understand why it works, and are reluctant to use it until we do. Should the sectors be risk-adjusted? If telecoms and utilities have equal rankings on a given day, do you want to discriminate in favor of the least volatile, say by subtracting half a moving standard deviation? Our results show that doing so on sectors reduces both returns and drawdowns. That’s unexpected, as usually reducing drawdowns and increasing returns are handmaidens. However if you are ranking proprietary funds, risk-adjusting outperforms not doing so across the board. That is, penalizing managers for bad behavior really works. This suggests that (a) certain managers really have talent and fat tails, and (b) they can be discovered by some quant work. Then comes the question as to how many assets out of our population are going to be traded. This can be tested empirically. R****x commissioned a white paper which suggested that 3-5 sectors was optimal. Yet R****x uses 8 out of their 64-culled-to-56, probably for marketing reasons (so we’ve been told). Our results show that whatever number you pick, numbers in that vicinity work well too, so it’s robust. We generally recommend using at least 3 assets to reduce volatility. But using more than 10 percent of the population curtails returns. Some of the professionals we have spoken with have told us that their “second quadrant” outperforms their “first quadrant”. Should that happen to you, you need to do more work at finding a better scoring method. However many assets you choose to hold, add an equal number of money-market assets. That is, if you choose to buy 3 assets, then to your culled population, add another 3 assets, all consisting of money-market. Then rank the whole lot. If your top 3 assets are X, Y, and money market, then buy that mix. If an equity asset cannot outperform money-market, don’t buy it. This means you will have to construct an asset consisting of the compounded effect of money-market, which is a great thing to have in your toolbox anyway. Some professionals do not like holding money-market assets in a client’s portfolio for marketing reasons. If a client sees a large portion of his assets in cash, he’s inclined to find something else (usually wrong) to buy with it. There are also some programs that rank say 15 assets side-by-side with 15 money-markets. Then if the market tanks, you will probably be in mostly cash before that happens. That is a fairly conservative way to go, usually producing acceptable, albeit low, returns, but with very low drawdowns. Risk-averse types take notice. How frequently do you look to change the assets? Recasting the investments everyday is not typically the best choice (as you will choose a lot of one-day-wonders), but there is a sweet spot that is robust. Interestingly, on some programs, recasting as infrequently as monthly isn’t all that bad. That is, it still beats the S&P hands down, and a whole lot of hedge funds to boot. A variation on the question as to how many assets to hold, is the percentage allocation among those held assets. Equally weighting the allocations may be the first choice to consider, but it is certainly not the last. Then you have to deal with rebalancing the equity among the assets and the frequency of that rebalancing. The academic literature just on the frequency of rebalancing is quite substantial. If you consider a hedged strategy, you have to choose whether you are going to hedge initial equity only (never readjusted for equity changes), a full hedge (adjusted daily for all changes), or somewhere in-between. The frequency of hedging is also a variable that should be tested. Upon doing so you will also find a sweet spot that is robust. Readjusting the hedge can also be subject to an on-off switch. That is, if your strategic overlay says that equities look weak, the switch forces you to go to a fully hedged condition from less so. What is best depends on the yardstick used by the investor. The investor may seek to maximize returns, minimize drawdowns, maximize the ratio of the two, or some other statistic. Success is achievable. For example, it is certainly possible to create a program in which the compound annual rate of return exceeds twice the maximum drawdown, or with a Sharpe Ratio north of 2. Given all of the degrees of freedom discussed above, it would certainly be naive to expect a simple four-sector program chosen on the basis of relative strength to produce hedge fund returns. It is wrong for the abstract to imply that investment success cannot be achieved. However, the author is right in that the typical investor cannot use such a simple strategy to produce superior performance. But that’s not because it cannot be done. Rather it’s because the typical investor is not up to the task of doing the research necessary.